If your content is lacking engagement (or if it’s non-existent), then you need this toolkit. 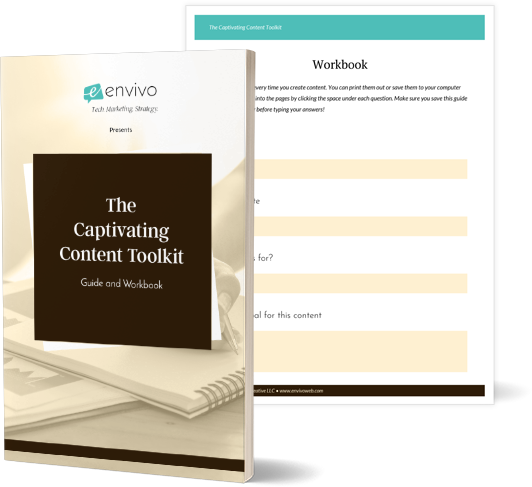 With The Captivating Content Toolkit Guide + Workbook, you’ll discover how to create content that speaks to your audience’s heart and compels them to take action! Where should we send The Captivating Content Toolkit to? Awesome! Check your inbox. I'll be sending you the freebie shortly. By submitting this form, you're agreeing to receive marketing emails from me. I promise I won't spam you!